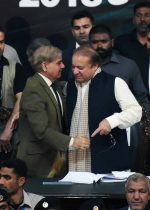 Everything works fine when your own house is in order, said former PM Nawaz Sharif Tuesday on DG ISPR’s press conference of Monday. He had an informal talk with journalists at the accountability court. He had arrived at the court along with his daughter, Maryam Nawaz Sharif, for the hearing of the Avenfield reference. Journalists asked him to comment on the army spokesperson’s press conference, in which he spoke about social media and the “year of change”. Mr Sharif said he had not listened to the complete press conference and declined to comment on it. “Everything works fine when your own house is in order,” he said. Journalists then asked him about allegations that his party, Pakistan Muslim League – Nawaz, is behind Reham Khan’s book. “When they couldn’t find anything else against us, they came up with this allegation,” said Mr Sharif. Reham Khan is a former wife of cricketer-turned-politician Imran Khan. She has recently written a book that PTI says contains lies about their chief. At the court, the former PM reiterated his stance on the formation of a national commission. “If we get into power again, we will surely form the commission,” he said. Mr Sharif first spoke about the need to set up the commission after allegations of treason against him. According to him, the commission should be assigned the task to ascertain who really was a traitor and worked against the interests of the country. “When we left, there was no load-shedding,” said Mr Sharif on questions regarding the intermittent power cuts. “The interim government is responsible.” He said his government added an additional 10,000 megawatt in the system. According to the former PM, he is unable to go for umrah or to visit his ailing wife, Kulsoom Nawaz, in London due to the frequent court hearings. Meanwhile, the accountability court dismissed the miscellaneous petition that Mr Sharif submitted. He requested in the petition for final arguments in all the three references against his family to be heard together. What is the Avenfield reference? The Supreme Court of Pakistan disqualified then PM Nawaz Sharif in the Panama Papers case on July 27, 2017, from holding public office. The deposed PM’s name did not appear in the Panama Papers. The papers linked, however, his children to offshore companies and properties. 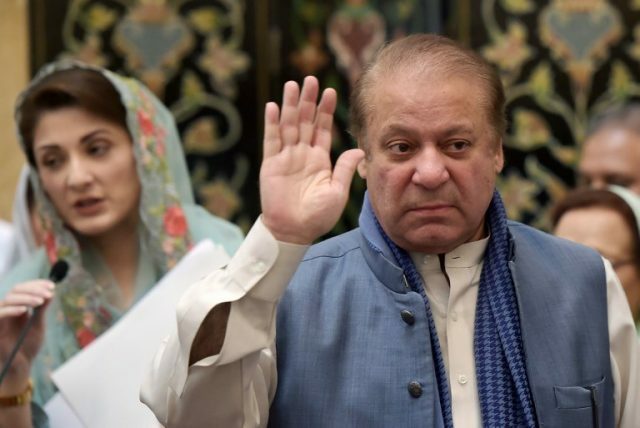 The court ordered National Accountability Bureau (NAB) to investigate into the Sharif family’s wealth as there was “insufficient evidence” to oust the PM over allegations pertaining to his family’s wealth. NAB filed three corruption references against Nawaz Sharif, Maryam Nawaz, Hussain Nawaz, Hasan Nawaz and Capt (retd) Safdar. Avenfield is one of those references. The Panama Papers described Maryam as “the owner of British Virgin Islands-based firms Nielsen Enterprises Limited and Nescoll Limited, incorporated in 1994 and 1993”. The Sharif family denies involvement in any kind of corruption.